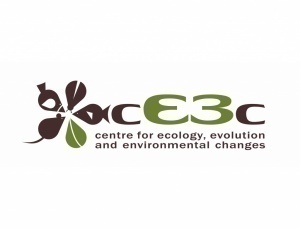 ATUALIZAÇÃO (5/02/2019): O Curso Avançado 'Practical Course on Phylogeography' (3-7 junho) foi CANCELADO. 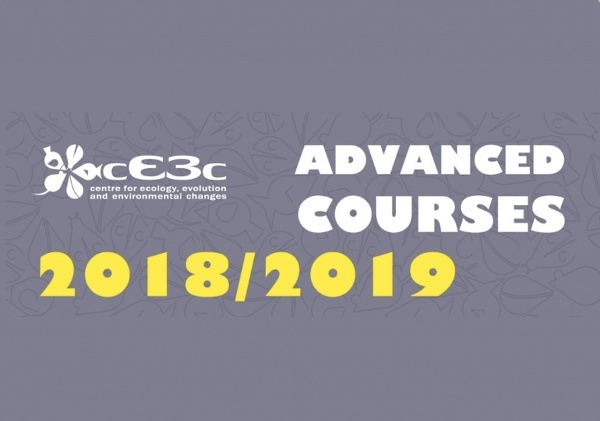 UPDATE (5/02/2019): The Advanced Course 'Practical Course on Phylogeography' (June 3-7) was CANCELLED. 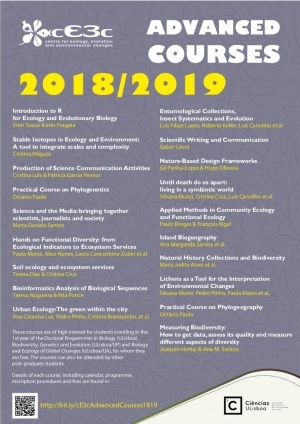 1-3 de abril 2019: Science and the Media: bringing together scientists, journalists and society (Marta Daniela Santos). Data-limite de candidaturas: 1 de março 2019. 13-17 de maio 2019: Nature-Based Design Frameworks (Gil Penha-Lopes & Hugo Oliveira). Data-limite de candidaturas: 19 de abril 2019. 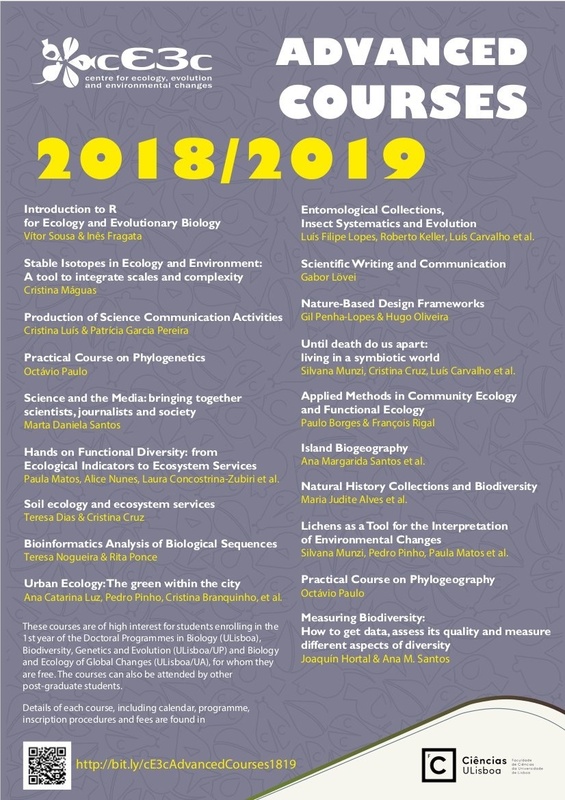 17-21 de junho 2019: Applied Methods in Community Ecology and Functional Ecology (Paulo Borges & François Rigal). Data-limite de candidaturas: 26 de abril 2019. April 1-3, 2019: Science and the Media: bringing together scientists, journalists and society (Marta Daniela Santos). Deadline for applications: March 1, 2019. May 13-17, 2019: Nature-Based Design Frameworks (Gil Penha-Lopes & Hugo Oliveira). Deadline for applications: April 19, 2019. June 17-21, 2019: Applied Methods in Community Ecology and Functional Ecology (Paulo Borges & François Rigal). Deadline for applications: April 26, 2019.